The New England Patriots open the 2018 regular season against the Houston Texans on Sunday afternoon and the conditions are supposed to be nearly perfect. The blistering heat wave that rolled thru the East Coast is moving off and it is supposed to be replaced by much cooler, drier air which brings a fall feel to the game. The Patriots and Texans have faced each other often in recent years and very familiar with one another. In 2017, the two teams shared joint practices together before playing a preseason game and then met again in Week 3 of the regular season. Now they’ll renew the competition as each team has sights set for the postseason. 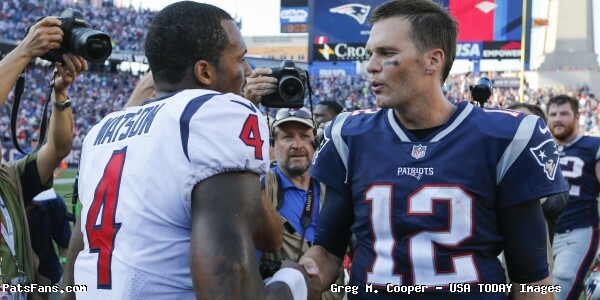 Although the Texans have never won in Foxboro, they are a team that gets great respect from the Pats. If you’ve ever attended a training camp session and watch those coaching assistants wave those big tennis rackets around when Tom Brady throws in drills? That is the J.J. Watt effect, because the uber-talented, but lately oft-injured defensive lineman has a penchant for knocking down passes at the line. The Pats quarterback is entering his 19th season in the NFL and despite being 41 years old, looks as good as ever, winning the MVP of the league at 40 and then throwing for 505 yards against a very good Eagles defense in the Super Bowl. Brady lost trusted targets in Danny Amendola and Brandin Cooks this offseason and then skipped the OTAs to spend more time with his family. Now with a wide receiver core that is thinner than what they’re used to working with, until Julian Edelman returns, all eyes will be on Brady to see if he can continue to keep the offense clicking. Houston has a formidable pass rush and sacked Brady five times last year, with a new left tackle (Trent Brown) and a right tackle just getting off an injury (Marcus Cannon), the Texans will be looking to disrupt things and Brady will have to be sharp, move the ball around to multiple targets and get it out quickly. Brady takes a lot of the pressure off of his tackles by getting rid of the ball very quickly and this season begins with a big test to see if the rust is gone from a long offseason. Dorsett was brought over from the Colts last year and was pretty much an afterthought in the offense for most of the year. With Amendola and Cooks gone, Edelman suspended for the first month, and Kenny Britt, Malcolm Mitchell and Jordan Matthews released, the onus of much of the wide receiver production is being pushed on his plate. Dorsett began the summer hot and was looking like he was ready for the challenge, but as camp wore on, he faded a bit and wasn’t a big factor in the first two preseason games. 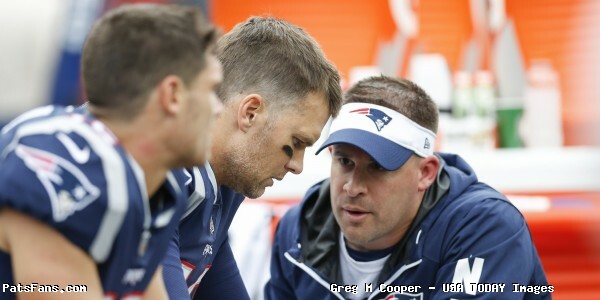 That changed in the third game as he and Brady seemed to be working on their timing and chemistry against the Eagles. Now the games are for real and a lot of eyes will be following Dorsett as the tries to be the go-to guy and a reliable chain mover for the Patriots offense along with Chris Hogan and the newcomer Cordarrelle Patterson. The Patriots big middle linebacker is back and looks healthy after missing most of last season. While Hightower isn’t an All-Pro, he is for this Patriots defense and his absence in the Super Bowl had more to do with them losing than Malcolm Butler’s absence did. Hightower will have to control the running game inside and help out when Lamar Miller or Alfred Blue try to stretch them to the edge or head out in the passing game. With the scrambling ability of Deshaun Watson, the Patriot defenders on the edge will have to contain the mobile QB and keep him in the pocket. If he tries to run up the middle, Hightower will be tasked with minimizing the damage. Having the big, physical Hightower back in the middle of the field is a huge boost for a Patriots defense that was woeful against the run in 2017. Everything with a Bill Belichick defense begins in the middle. Having Hightower back where he belongs is a big first step. The Patriots corner behind Stephon Gilmore has taken an undeserved bad rap from Patriots fans and will get a chance this season to erase a lot of those. With Malcolm Butler now in Tennessee, Rowe gets elevated to the top two slot. And despite the perception, he’s ready for the challenge. The bigger, taller (6’1, 205) Rowe who is beginning his fourth season has earned the right to be the starter. He had a very good spring and summer and fended off all competition from veterans and rookies alike to earn his way into the starters role. This week he faces Will Fuller of the Texans who will play opposite DeAndre Hopkins and whose responsibilities fall to Gilmore. But an interesting footnote on Fuller, who is recovering from a hamstring issue and may not be 100 percent. Fuller and Watson developed a great chemistry last season. With both Hopkins and Fuller in the lineup with Watson under center, the Texans averaged nearly 40 points per game last year. Rowe’s season opener will have him facing a tough matchup. It should be a fun one to watch. The Patriots brought back Burkhead this season after an injury shortened one in 2017. 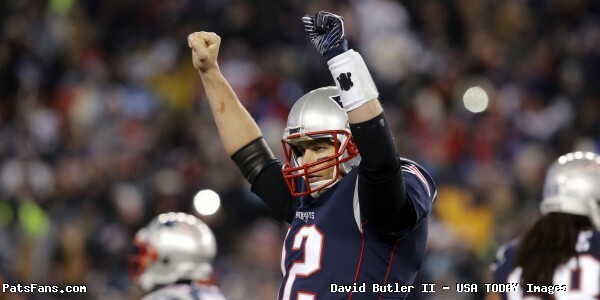 But there is no doubt when he was healthy and on the field, he was an integral part of the Patriots offense. That should not change in 2018 and in fact, his role may actually increase in the first month of the season with Edelman out. Burkhead missed the Texans game last year after having a big game the week before against the Saints in the passing game. Look for Josh McDaniels to use Burkhead and James White as movable chess pieces in the backfield. The two will serve as slot receivers at times as they’ll put them in motion and try to create matchup problems. In our key matchups, we said Burkhead may be the “X-Factor” in the game on Sunday. The Texans will be looking to put a lock on Rob Gronkowski and with him and the WRs clearing out some space, it could mean a big day for Burkhead. The Patriots pass rush and their play along the edge in 2017 was a big issue all season. Now, by adding Clayborn to Trey Flowers and Deatrich Wise and getting Derek Rivers and Keionta Davis back from injuries that robbed their rookie seasons, the team is optimistic that they’ll be much improved. But it all begins with Clayborn. He’ll be expected, and rightfully so, to lead the way on Sunday against a very good, young, mobile quarterback. It would do wonders for the confidence of a young group to get off to a good start this season. 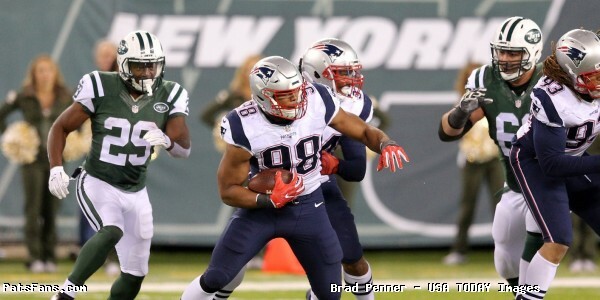 This entry was posted in 2018 Patriots Regular Season, NFL Commentary, NFL News, Patriots Commentary, Patriots News and tagged 2018 Patriots Schedule, 2018 Patriots season, Adrian Clayborn, Bill Belichick, Chris Hogan, DeAndre Hopkins, Deatrich Wise, Derek Rivers, Deshaun Watson, Dont'a Hightower, Eric Rowe, Houston Texans, Jadeveon Clowney, James White, JJ Watt, Julian Edelman, Keionta Davis, New England Patriots, NFL, Patriots, Phillip Dorsett, Rex Burkhead, Rob Gronkowski, Stephon Gilmore, Tom Brady, Whitney Mercilus, Will Fuller on September 7, 2018 by Steve Balestrieri. The Patriots return home after the first road trip of the season and a successful one down in New Orleans. Their next opponent may not have the explosive offensive potential of Drew Brees but the Houston Texans have one of the better defenses in the NFL and they’ve constructed it with beating the Patriots in mind. The teams met twice last season, a Thursday Night Football game in Week 2 when Tom Brady was still under suspension and in the Divisional Playoff game in Foxboro, both won by New England. The Texans like the Patriots played very poorly in Week 1, getting beat at the line of scrimmage on both sides of the ball by the Jacksonville Jaguars who sacked Texans QBs 10 times. They rebounded nicely and put together a much better performance, especially on the defensive side which was dominant in their 13-9 win over the Cincinnati Bengals on Thursday Night Football. Rookie QB Deshaun Watson stepped in and played well. He protected the ball and gave the Texans a chance to win the game. 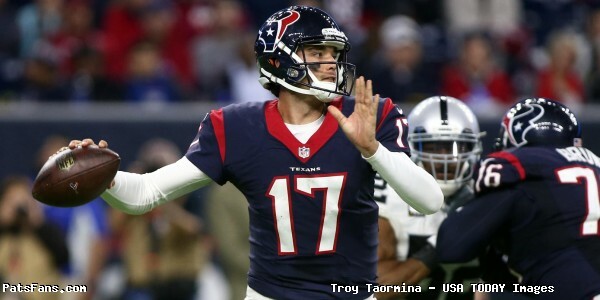 The Texans, also like the Patriots have been hit hard by the injury bug. They were without three tight ends in Cincinnati, lost both starting corners during the game and has to deal with LB Brian Cushing serving a 10-game suspension. Watson Is In At QB…For Now: When the Texans drafted Deshaun Watson, they knew they were getting a big-time playmaker, as anyone who watched the college national championship game against Alabama can attest to. It is just that no one expected him to be starting this early in his career. Head Coach Bill O’Brien ran an open QB competition this spring and summer and it was won by Tom Savage. But during the opener, O’Brien used the hook on Savage quickly, benching him after only a half when the entire team not just Savage played poorly. Those kinds of benchings can do irreparable damage to a young QBs confidence level. Watson came on in the second half in the loss to Jacksonville and got the start against the Bengals. He played well and ran five times for a team-high 67 yards including a highlight reel 49-yard touchdown, the only score of the game and completed 15 of 24 passes for 125 yards with no interceptions and three sacks. If Watson begins to struggle at some point and all rookie QBs do, how will O’Brien handle the very talented rookie? Don’t be surprised if O’Brien tries to cook up some trickery with the rookie since there is very little tape to study with him yet. Miller and Foreman make for an Ideal 1-2 Punch: The Texans signed Lamar Miller away from the Dolphins a year ago and he has become their #1 back and was backed by big back Alfred Blue. But this season, the Texans drafted Texas running back D’Onta Foreman and he seems to be on the fast track to becoming the #2 back in the rotation as well as pushing for reps away from Miller. Miller has gotten the lion’s share of the reps in the first two weeks, carrying the ball 35 times for 126 yards, good for only a 3.7 yard per carry average. Foreman, the 6’0, 233-lb back is only averaging 3.4 yards per carry. The problem isn’t with the two backs who are both very good, it has been the offensive line which has struggled to open lanes for them to run. We were very high on Foreman coming out in the 2017 NFL Draft and thought he’d be a great fit here. Our draft profile on Foreman can be found here: During the preseason game in August, Foreman took a pass from Watson 63-yards against the Patriots defense. Watt is Back and Leads the Texans Defense: With J.J. Watt back this season, the Houston defense has one of the best players in the NFL back to help an already very good defense. Watt leads a group of four excellent players on the front seven for Houston including Jadeveon Clowney, Whitney Mercilus, and Benardrick McKinney. The excellent front seven is difficult to contain as they have so many impact players it is difficult to double-team any one player as opponents have to account for all of them. They can rush three and drop eight into coverage and still bring pressure on the quarterback. In the playoff game a year ago, they brought continuous pressure up the middle on Brady and flooded the middle of the field, taking away the short passing game across the middle. Julian Edelman had a big game against them in January. It will be interesting to see how the Patriots try to attack their defense this time around. After a very lackluster opening game and allowing 155 yards on the ground, their defense was resembling the Texans defense we all recognize against the Bengals. They allowed just 82 yards rushing and kept the Bengals out of the end zone, allowing just three field goals in a very impressive showing. Expect the Texans defense to be sky high for this one on Sunday afternoon. 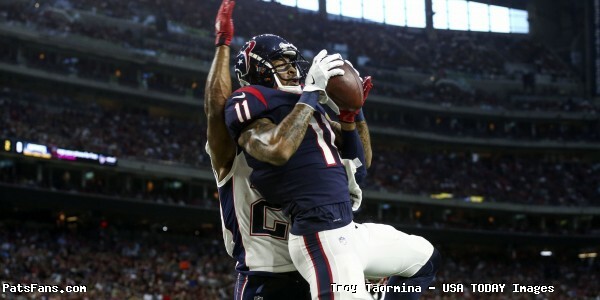 Fuller Returns to Practice: Texans WR Will Fuller broke his collarbone during training camp on August 2 and was expected to miss 2-3 months. But the fact that the Texans didn’t place him on IR to begin the season spoke to the belief that they’d have him back sooner rather than later. And with the release of WR Jaelen Strong this week, it seems that it will indeed be sooner. Fuller returned to practice on Tuesday. Fuller is now in his second season with the Texans after being drafted in the first round of the 2016 NFL Draft out of Notre Dame. Fuller finished his rookie season of 2016 with 47 catches for 635 yards and two touchdowns. If he’s able to return on Sunday to play against the Patriots, it would be a huge boost to the passing game. Because right now their biggest threat is De’Andre Hopkins and not much else. Houston was without all three top tight ends, C.J. Fiedorowicz, Ryan Griffin and Stephen Anderson against Cincinnati. All three suffered concussions against Jacksonville in the opener. We won’t know until later on Wednesday when the injury report comes out if the three are going to be available on Sunday. Texans Sign Cornerback Jonathan Banks in a Depth Move: In the Thursday game against Cincinnati, Houston lost both starting cornerbacks Kevin Johnson and Jonathan Joseph to injury. Joseph is expected to be back on the field this week in New England. However, Johnson is expected to miss about three weeks so the team added former Buccaneers corner, Jonathan Banks, to bolster their depth. Kareem Jackson who came in for Johnson and played well is expected to get the start but the addition of Banks gives the Texans a much-needed boost of depth in their secondary. In a corresponding move, the team released TE Evan Baylis who was signed off the practice squad this week to fill in for the three tight ends who were out due to concussions. If Baylis clears waivers, he’s expected to be signed back to the practice squad. This entry was posted in 2017 Patriots Season, NFL Commentary, Patriots Commentary and tagged 2017 Patriots Season, Benardrick McKinney, Bill Belichick, Bill O'Brien, D'Onta Foreman, DeAndre Hopkins, Houston Texans, Jadeveon Clowney, JJ Watt, Julian Edelman, Lamar Miller, New England Patriots, NFL, Patriots, Tom Brady, Whitney Mercilus on September 20, 2017 by Steve Balestrieri. So how did the Patriots grade out? Still missing Brady, Hightower, Ninkovich and Lewis, Jimmy Garoppolo joined the ranks of the missing Thursday night as he was scratched due to a sprained AC joint in his throwing shoulder. So we’ll start with the offense and the players can come forward to pick up their grade sheets. Jacoby Brissett got the start in place of Garoppolo, in lieu of Brady….and played with the poise that belied his lack of experience. The coaches came up with a masterful game plan that made his throws easier and relied on the running game, but it didn’t matter. Brissett did exactly what they were hoping for. He didn’t and ran the offense efficiently and made some plays with his feet when the protection broke down. He just missed on a couple of deep throws where the Pats had single coverage looks. LeGarrette Blount followed up a big game against Miami with another big one just four days later against the Texans. Blount had a huge second half as he scored twice while rolling up 24 carries for 105 yards overall. Blount was stopped for little gain in the first half but his value comes in with the team sticking with the run as he’s a closer and gets better on the 2nd and 4th quarters. Those one and two-yard runs in first half become much better as the game progresses. Blount in the second half carried 17 times for 94 yards and two touchdowns. The team has leaned on him during Brady’s absence and he’s responded in a very big and positive fashion. Blount has already carried the ball 75 times for 298 yards and four touchdowns. His numbers play out over a 16 game season to nearly 1600 yards. While those numbers won’t continue especially once Brady returns, it shows just how effective a runner he’s been. This wasn’t a big game for the wide receivers as the coaches didn’t game plan a lot of throwing, in general, limiting Brissett to just 19 passes overall. Julian Edelman led the way with 4 of the 8 passes that Brissett completed to the wide receivers. 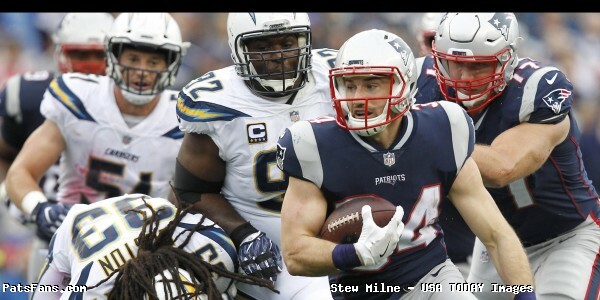 Edelman also chipped in with three runs in the running game and acted as a decoy a few times in the backfield. Malcolm Mitchell only caught one pass but it was a big 27-yarder and it perfectly symbolized the Texans frustration as he broke numerous tackles on the way to pick up the big first down. Amendola and Hogan each chipped in as well but one thing they all did well was to block in the running game, a must in the Patriots system. Martellus Bennett had another strong game in run support with his blocking which has been stellar all season. He too chipped in the passing game with a couple of catches as well as a run on a sweep where he picked up six yards. Rob Gronkowski made his first appearance of the 2016 season and he appears that he’s far from 100 percent physically. He stayed in to block for the most part and was targeted in the passing game only once. The story line this week (which Bill Belichick is waiting for), was the ferocious Houston front seven and how they were going to try and fluster the rookie QB into making mistakes. We bought into that line of thinking as well. Well, the Patriots offensive dominated in the trenches last night. How many times did we hear J.J. Watt’s name on Thursday night? Jadaveon Clowney? Whitney Merciless? None of the big three for Houston had any impact or impactful plays during the game. 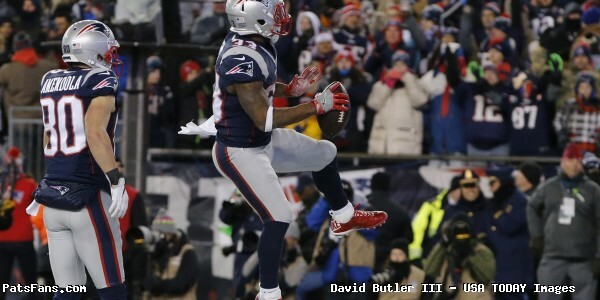 The Patriots rushed 39 times for 185 yards, which was good for a 4.7-yard average and three touchdowns. Houston didn’t get much pressure on Brissett and sacked him only once. It was Dante Scarnecchia’s charges best game thus far on the season. The Patriots defensive line was very impressive on Thursday night. With their alignment, they basically dared Houston to run the ball. But while the Texans rushed for 109 yards in the game, they were generally ineffective doing so. While rushing just four for the majority of the game, the Patriots were able to get enough pressure on Brock Osweiler to influence many of his throws. 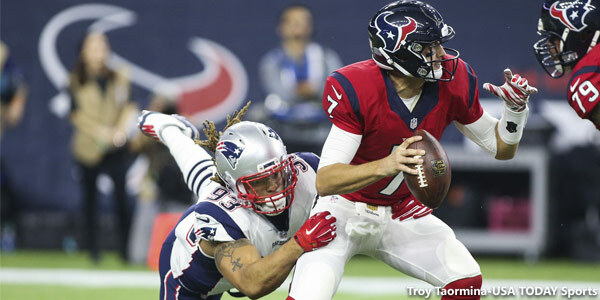 Jabaal Sheard, one of our pre-game players to watch had two sacks in a very strong game. Chris Long and Trey Flowers also had productive games at pushing the pocket and setting the edge. The interior players, Alan Branch, Malcolm Brown and to a lesser extent Anthony Johnson and Vincent Valentine were stout at the point of attack. The Texans were trying to establish the run to set up play-action deep down the field and didn’t happen. Jamie Collins had his best game of the season. One of our other pre-game players to watch was a presence all over the field, had 14 tackles and an interception. Without Hightower in the lineup, Collins had to step up and he did in a big way. When Collins is playing like that, it is easy to see why he’s considered one of the better inside linebackers in the game. Jonathan Freeny saw the most snaps in lieu of Hightower as he’s clearly earned the trust of Belichick. Shea McClellin and Barkevious Mingo played sparingly. What a difference a few days makes. After getting gashed in the second half by Miami, the secondary, especially the cornerbacks turned in a fantastic performance. The plan was to take away the deep ball by having the cornerback’s undercut the routes of DeAndre Hopkins and Will Fuller and having over the top safety help in a Cover-2 shell. It worked perfectly. Logan Ryan and Malcolm Butler stuck with Hopkins (4 catches, 56 yards), and Fuller (3 catches for 31 yards) and even when they did make a catch, they were in a position to contest everything. It was a night and day scenario from Sunday. McCourty, Chung, and Harmon did a great job of giving over the top safety help. Although they played far off the line, they did come up in run support. The leading receiver for Houston (by design by Matt Patricia), was the TE Griffin who caught 8 passes for 52 yards. The Patriots will take that all day long. Punter Ryan Allen was fantastic on Thursday night…what a difference again from Sunday. He averaged 47.6 yards per punt and had six downed inside the 15-yard line. He more than anyone else, influenced field position all night long. Stephen Gostkowski was perfect on five kicks (3 PATs, 2 FGs) and his mortar kickoffs were directly responsible for the Patriots for generating two turnovers. The only downgrade was rookie returner Cyrus Jones putting the ball on the ground twice. One of which got called back by the officials. Bill Belichick, Josh McDaniels, Matt Patricia and Joe Judge all get the highest grades possible. They put together a fantastic gameplan, saw the team see it thru perfectly and totally had their counterparts in Houston on the ropes all night long. Belichick put on a coaching clinic on Thursday night and to enter the game with a 3rd string rookie QB and win by 27 points is a testament how one-sided this game was. 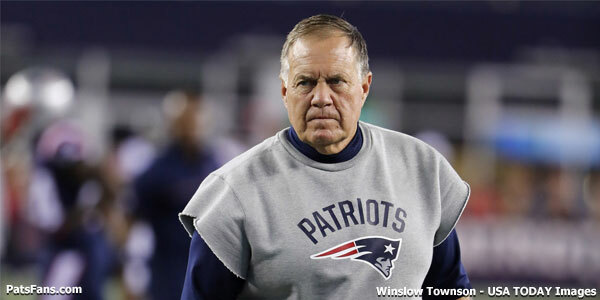 This entry was posted in Patriots Commentary, Patriots News and tagged 2016 NFL Season, 2016 Patriots season, Bill Belichick, Bill O'Brien, Brock Osweiler, Chris Hogan, Danny Amendola, DeAndre Hopkins, Dion Lewis, Houston Texans, Jabaal Sheard, Jacoby Brissett, Jadeveon Clowney, Jimmy Garoppolo, JJ Watt, Julian Edelman, LaGarrette Blount, Logan Ryan, Malcolm Butler, Martellus Bennett, New England Patriots, NFL, Patriots, Patriots edge rushers, Rob Gronkowski, Rob Ninkovich, Tom Brady, Whitney Mercilus, Will Fuller on September 23, 2016 by Steve Balestrieri.